Effective June 4, 2018 Mrs. Jessica Butler resigned from Place 1 on the Scottsboro City Council. The City of Scottsboro asked for candidates to submit their names for the vacant position, 13 candidates submitted their names to be selected by the members of the Scottsboro City Council on Monday July 9, 2018 at 6:00 PM in the Scottsboro City Council Chambers, Gail Duffy Auditorium. "The List and Continuing Saga . 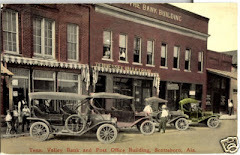 . ." contains 3 articles at this link - The List - explaining political action currently and historically or at this link - relating to the Alabama Private Investigators Board and previous problems within the City of Scottsboro. 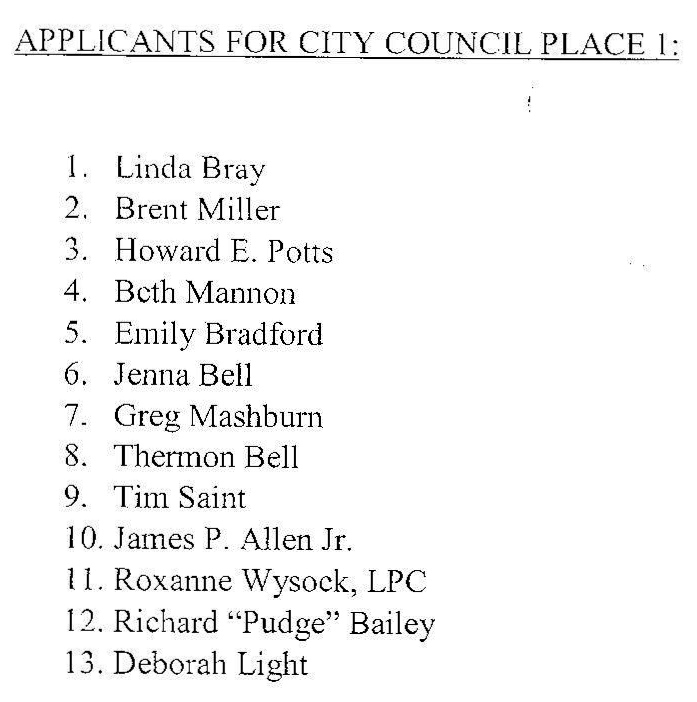 Two members of the City Council have stated they will support Mrs Linda Bray, 1 on the list. I submitted my concerns to the entire Scottsboro City Council Regarding Mrs. Bray via email and Messenger. On Thursday evening 5 July, 2018 I interviewed Mrs Bray and we had a discussion regarding my concerns. I have updated 2 blog articles regarding this interview going back in time to November 3, 2015 and March 29, 2016. These articles were in regards to Mrs. Brays activities as a Private Investigator and Personnel Board member. I requested, and she provided me with documents which were utilized to update the 2015 and 2016 articles. The interview directly relates to the described incidents and my concerns as a Citizen of Scottsboro, Alabama. The context of concern and photos of the Documents may be found at The List in subsequent articles after this one. Phone interview of Mrs. Bray on July 5, 2018, due to her possible selection as an appointed City Council Member. Mr. Smith and Mr. Patrick Stewart have indicated they will support Mrs. Bray as a candidate for the City Council position to be selected on July 9, 2018. Mrs. Bray additionally stated that she was previously contracted by Scottsboro to perform investigations on Workers Comp Cases. Interviews revealed that she was contracted per order of the Mayor of Scottsboro at the time thru Human Resources. Normally, Workers Comp Insurance case investigations are conducted by the insurance carrier. *(The following comment stood out to me regarding Mrs. Brays character. )* Mrs. Bray further indicated (paraphrased) that she did not wish to cause a problem for anyone, but if this issue came forward again the H.R. Directors involvement would be brought forward, meaning her contracted hiring to investigate a Workers Comp case. 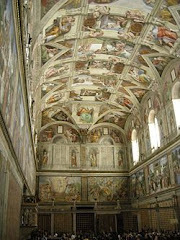 Mrs. Bray indicated she thought the H.R. Director's job performance was excellent. Mrs. Bray indicated she had received a training course of study in Private Investigations. Mrs. Bray indicated she is a member of the Personnel Board of the City of Scottsboro. 1. Who is presently on the Scottsboro personnel board? 2. 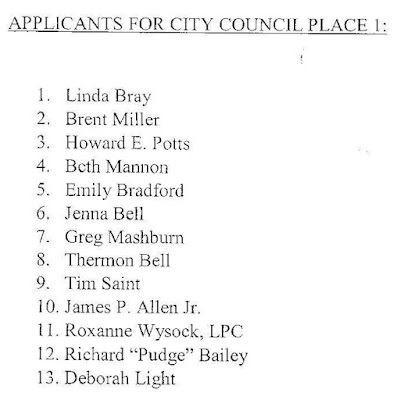 During Mrs. Bray's time on the Scottsboro personnel board (she may stil be on it...see question 1), how can she get paid to "spy" on city employees? This seems to be a major conflict of interest if she is sitting on the board that makes personnel decisions. 3. Do the other members of this personnel board have the option of "getting paid to spy" on city employees? 4. Why do we have 2 council members backing Mrs. Bray and supporting this kind of "shady" way of business?